There’s $1 million in state money on the table to study the feasibility of a new train station for Buffalo and answer some key questions—chief among them, where it should go. 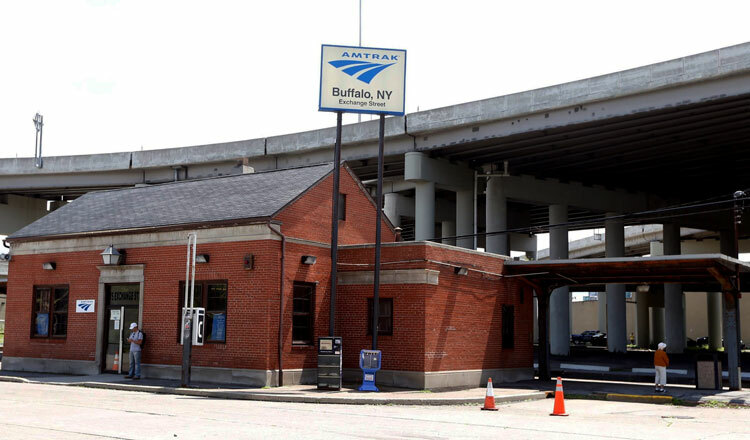 Since problems at the Exchange Street Amtrak station last year helped ignite talk of the need for a new train station in the city, two potential locations received the most buzz: Canalside at Buffalo Harbor and the former New York Central Terminal on Buffalo’s East Side. 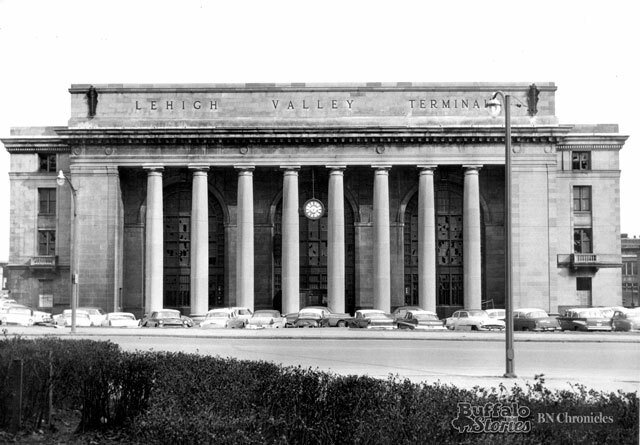 The Central Terminal’s historic connection to Buffalo’s locomotive past is obvious — it was the city’s main train station for 50 years. But before the shiny Art Deco landmark opened in 1929, the heart of the city’s passenger train service was near the area now known as Canalside. The New York Central Terminal. Postcard, 1945. 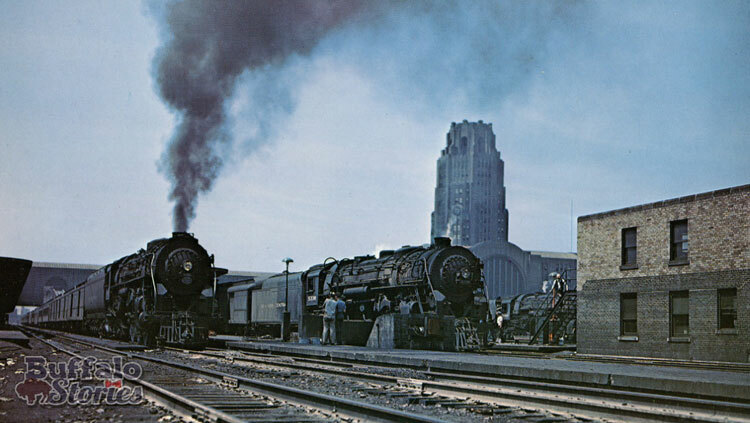 For the 75 years before the current Central Terminal opened, the New York Central Depot was on Exchange Street about where the current train station is. New York Central Depot, Exchange near Washington St. The bridge in the distance is the Michigan St. Bridge going over Exchange Street and the railroad tracks. Built in 1854, the depot served passengers until 1929. 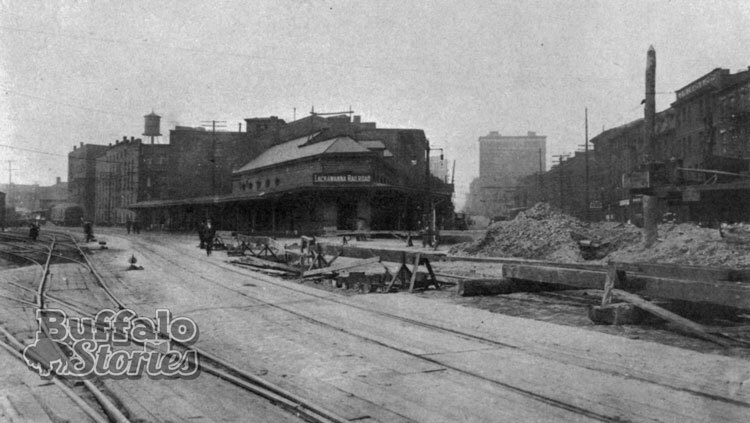 At the foot of Main Street stood the Lackawanna Railroad depot. This image is from 1914. Trying to find the spot today, you might leave KeyBank Center at the Sabres Store entrance, and head for the Metro Rail tracks. Just across the tracks at the Harbor Center Metro Rail stop is about where this version of the DL&W Passenger terminal stood. 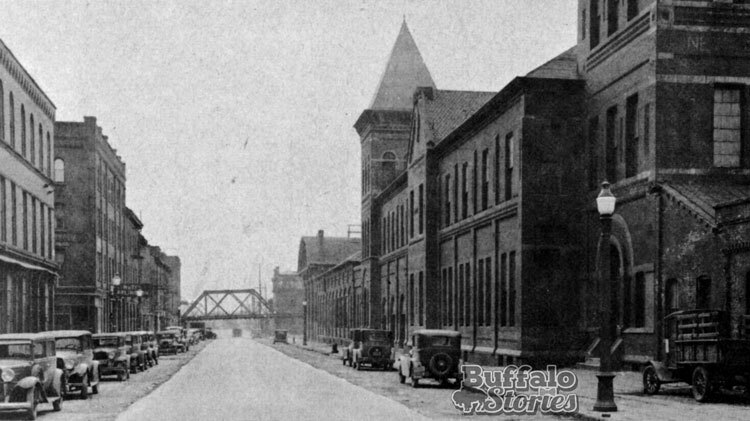 It was around the time of this photo that DL&W built a palatial passenger terminal and train shed complex in the area that is now across South Park Avenue from the backside of the arena along the Buffalo River. The passenger terminal portion of the building was torn down, but the train shed building is used to shelter the Metro Rail trains when not in use. The Canalside site has plenty of history, but very little infrastructure remains. Train tracks and terminals once crisscrossed and filled the area, but they’ve mostly been gone for generations now.